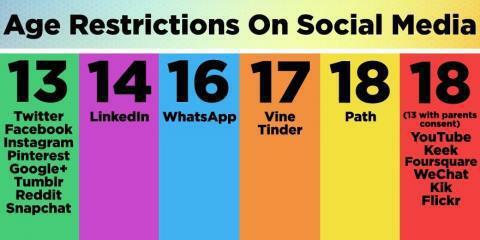 It is really important that you understand that the age limit for different websites and apps. Please be vigilant your child may have accounts without your knowledge. Also ensure that your child is not playing games which have an inappropriate PEGI rating. Pan European Game Information (PEGI, pronounced "Peggy") is a European video game content rating system established to help European consumers make informed decisions when buying video games or apps through the use of age recommendations and content descriptors.Games such as Grand Theft Auto (GTA), Halo and Call of Duty (COD) have a PEGI rating of 18 years of age. To allow your children to access either the social media and/ or the games is illegal. 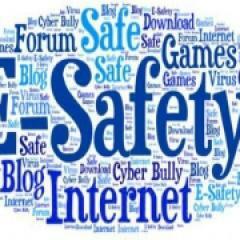 We are committed to educating our children about online safety, please support the school in this by monitoring your child's online activity. By working together we can ensure that our children are kept safe from harm, be that through bullying or potentially meeting online predators, who seek to groom and exploit young children.